A few weeks ago I traveled to Binder Park GC in Battle Creek to check out the PGA Jr. State League Championship. My grand nephew was competing on a team from Grand Rapids and I wanted to see him in action. Over the past few years, he’s been bitten by the golf bug and he absolutely loves the game. His parents and grandparents have helped him along the way but also junior programs such as The First Tee, Youth on Course, the Drive, Chip & Putt Championship and the PGA Jr. League. All of these initiatives are playing an important role in engaging juniors to embrace a life-long game. At Binder Park, 230 junior golfers from all over Michigan gathered with their coaches, families and friends to crown a state PGA Jr. League champion. It was a most impressive, colorful, and fun competitive event. As background, the PGA Jr. League first began as a concept—borrowing the team appeal and uniforms of Little League baseball— in 2011 with teams from Atlanta, Tampa, Dallas, and San Diego. Since then, it has grown exponentially with 42,000 participants in 2017 and promoted by such Ambassadors as Rory McIlroy, Michelle Wie, Rickie Fowler and Lexi Thompson. The PGA of America and its Sections across the country, including Michigan, have done remarkable work with this program. With matching golf shirts and hats, three-person teams squared off at Binder Park in the popular two-person 9-hole scramble format. Coaches also substituted players every three holes, so that all the golfers on each team participated. There were written guidelines for the tournament that clearly outlined the responsibilities of players, coaches, walking scorers and parents. Coaches refrained from offering any advice once play began other than for a player’s safety, pace of play, rules or conditions of play. Thus juniors were forced to be accountable for their game. Parents (and great uncles!) Likewise kept their distance and refrained from offering any advice in keeping with the rules of the game. They did look for errant shots! On that last note, Owen dismissed the advice of his two playing partners to take an uphill putt on the 18th green and instead opted for his putt which was a tricky and fast downhill putt of equal length. A life and golf lesson were at play here. It was the riskier putt to take especially given the urgings of his teammates. (Hold on, Owen, I’m thinking.) But lo and behold, he stepped up and holed the 30-foot downhill putt! Bombs away! Life and golf lesson now had an asterisk. After two days of spirited competition which saw every parking place at Binder Park taken on pavement and grass, the winning team of “Dude, Where’s My Par,” captained by Doug Brody of Warwick Hills, came out on top over “Traverse City,” captained by Scott Wilson of Bay Meadows. 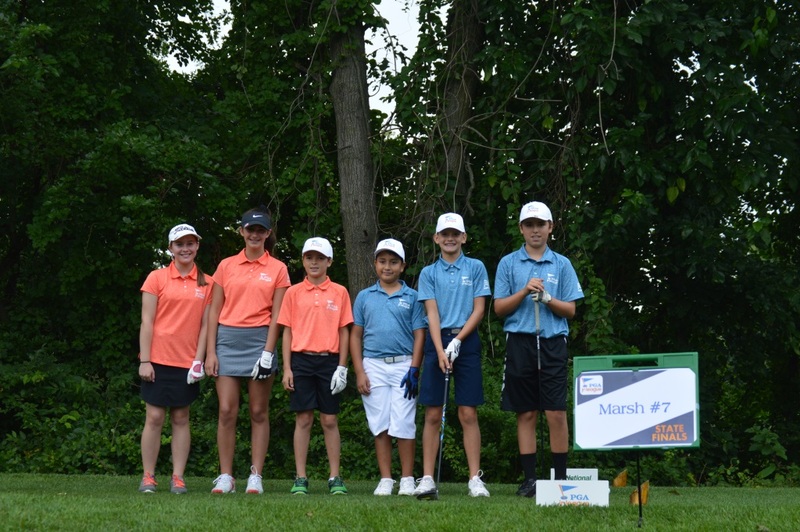 Host PGA head professional Ron Osborne, a past president of the Michigan PGA and twice a Youth Player Development honoree, shared his thoughts about what makes the PGA Jr. League such a popular and appealing program. “What I like about it the most is how parents and relatives come out to watch these juniors. It reminds me of the days when I was a Little League baseball player,” said Osborne. “The parent involvement is awesome. And it happens with every PGA Junior match we ever have here. In fact, the whole extended family is often out here watching sons, daughters, grandchildren, sisters and brothers.